One of the best things about blogging in this kid lit community is connecting with incredible people like Donna McDine. If her name appeared in the dictionary, it would be followed with words like talented, helpful, great resource for writers, teachers and parents, generous and kind. Multi award-winning children’s author, Donna McDine’s creative side laid dormant for many years until her desire to write sparked in 2007. With four early reader children’s picture books to her credit, A Sandy Grave (January 2014), Powder Monkey (May 2013), Hockey Agony (January 2013) and The Golden Pathway (August 2010) and a fifth book in the publishing pipeline with Guardian Angel Publishing, her adventures continue as she ignites the curiosity of children through reading. 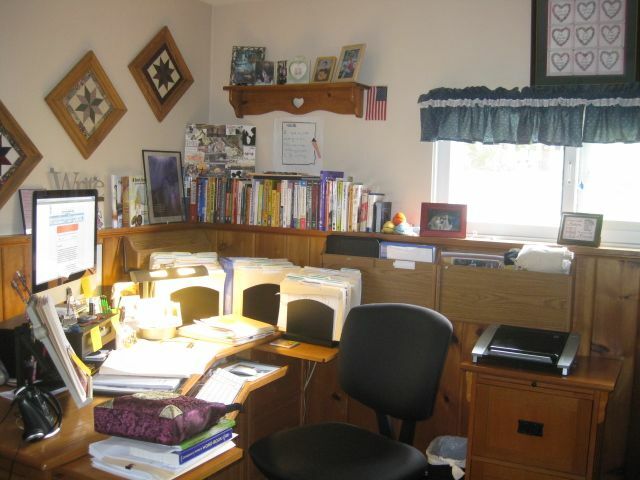 She writes and moms from her home in the historical hamlet Tappan, NY. Donna is a member of the SCBWI, New York State Reading Association and Family Reading Partnership. I’m so happy to have her here to share her thoughts with us. Hmm…never an easy question. Absolutely adored Richard Scarry and shared with my children his stories. Especially enjoyed hunting for Lowly Worm. Judy Blume’s stories always made me feel that my emotions of growing up were not singular. Seeing Ms. Blume on the premiere of KidLitTV on November 12th I had an overcoming emotion of re-inspiration of moving forward in my writing career. ME: What do you know now that you wish you had known when you first started writing for children? The written word created into a compelling story is more important than social networking non-stop. Not that I don’t appreciate the social networking, but without a story others will relate to…the social networking means nothing. ME: Where do you like to write/draw – inside, outside, a special area in your home, on the computer, in a notebook? I always write my first draft long hand with my favorite Graf von Faber-Castell pen, either at my dining room table with the natural light or weather permitting on our patio under the canopy. ME: When during the day (or night) are you most productive? Do you set a schedule for working or do you write/draw when the muse speaks? I’ve always been a morning person and I’m the most productive when a rise before the rest of my family, get a Pilates session in and have a healthy breakfast. Then I’m ready to tackle the day. I find that if I don’t write or edit first thing the day gets away from me and before I know it I haven’t written or edited at all. I try to stick to a schedule and treat my writing as a typical job schedule so I don’t let outside influences or the dust bunnies distract me. After working in Fortune 500 companies for many years and then as a virtual assistant (well before it was mainstream) after having my children, I yearned for something more creative. And low and behold I came across the Institute of Children’s Literature aptitude test and happily I was accepted into their Writing for Children and Teenagers writing course. ME: Donna, please feel free to share any tips that will help aspiring writers/illustrators. For the genre you are interested in, it’s important for you to read, read and read continually books in that particular genre. Attend writer’s workshops and conferences such as the Society of Children’s Writers and Illustrators (SCBWI) and KidLit Writing School. ME: Donna, it’s been an absolute pleasure to have you here…and I know you have a very special sweet treat for all of us. Cream shortening, sugars, egg and vanilla until light and fluffy. Sift dry ingredients together and blend with creamed mixture. Blend in up to two cups of mini chocolate chips. Of course you can substitute the mini chocolate chips with… pecans, walnuts, M&M’s, butterscotch chips or peanut butter chips. Drop from teaspoon on non-stick cookie sheet. Bake 10-12 minutes at 375 degrees. Do not overcook. WOW! Can I substitute all of the above…now that would be some cookie!!! I’m participating in Christie Wild’s PB 14:14, so I want to talk a moment about one of the most important of the ten elements of picture book stories – CHARACTER. Without a strong main character, you probably don’t have much of a story. 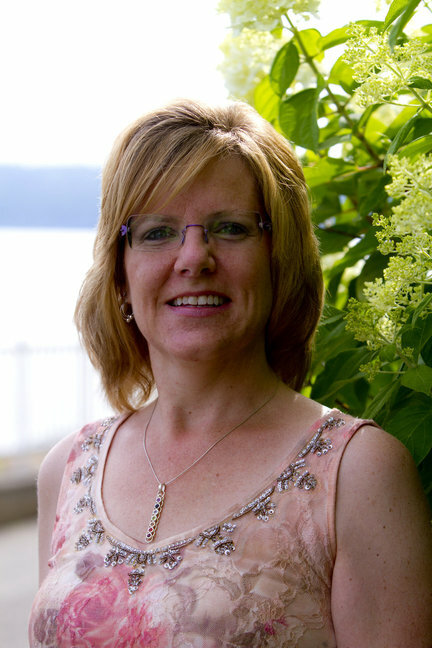 Donna writes children’s books, appropriate for children ages 8-12, and each one features a main character who is faced with a decision to make, an obstacle to overcome, a struggle of right against wrong. For example, in Powder Monkey, 12-year old Tommy is forced into a life at sea by the Royal Navy Press Gangs. Poor living conditions and beatings occur daily and Tommy must summon the courage to prevail in a situation he cannot escape. It’s an exciting page-turner for early readers. 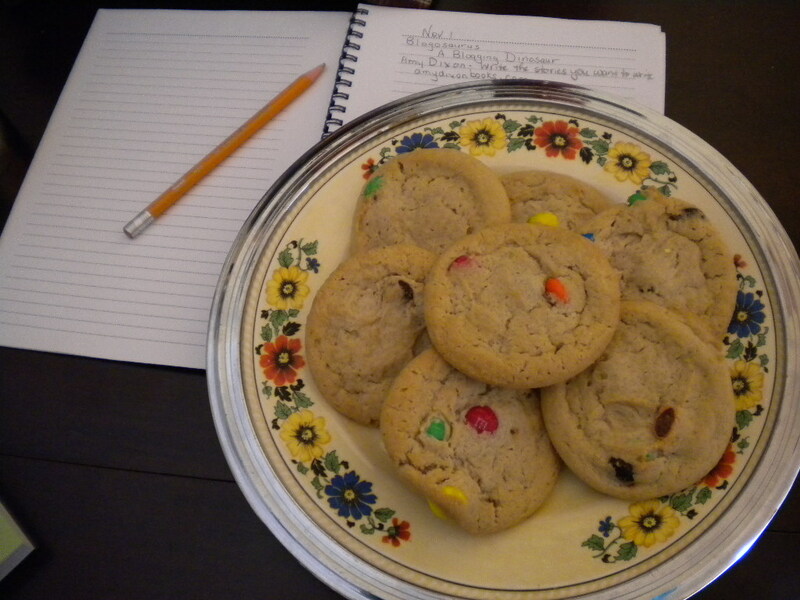 This entry was posted in Author/illustrator interviews, Cookie recipe, Donna McDine, Will Write for Cookies and tagged Author Donna McDine by viviankirkfield. Bookmark the permalink. Thanks for the inspirational interview. Glad you enjoyed it, Kat! Vivian, What a way to start the day! Your heartwarming welcome has me tearing up. I am truly humbled! I will be popping in during the day. I’m delighted to be here. Well, most inspiring!! Ms McDine sounds like a dedicated word magician! Thanks for introducing her!!! You make me blush. Thanks for stopping and for your warm words! Thank you for sharing the enjoyable interview! I agree with the dictionary list of Donna’s attributes. I’ve had the privilege of knowing Donna through our mutual publisher, Guardian Angel Publishing. All the best to you, Donna! Hi Connie… I’m truly humbled. Thank you for your never ending support! I hope to see you again at possibly the next GAP gathering! Delightful interview ladies 🙂 Thank you, Donna, for your tips and inspiration. I’ve copied the cookie recipe-sounds yummy! We were just talking at work about good old handwritten note taking in class and while studying. The majority said they remembered their notes better by writing in long hand, versus typing away on a keyboard! Thanks for sharing your process Donna and your cookies. (My weekend got away from me, so that’s why I’m visiting finally! on a Tuesday). Thanks Vivian! Lovely to connect with you at Vivian’s blog. I appreciate your time and support! Hope you are having a great weekend! And my week got away from me, which is why I’m finally responding on Saturday, Stacy! You know how much I appreciate you always stopping by and commenting…glad you enjoyed Donna’s interview…I know you will enjoy the cookies!